Fortunately, not every minor malfunction means your unit is a complete failure. There are many cheap and easy fixes for your air conditioner problems. Some of these issues can even be fixed by you, rather than having to call in a professional. If the air conditioner doesn’t seem to be cooling, then it’s time to do some cleaning. First, make sure there are no plants or debris near the condenser outside. Limited airflow is often the most common sign of an AC problem. Next, make sure to replace the air filter regularly. This is something that should be done 3-4 times each year, or more often if you’re in a dusty area or own a pet. It’s also a good idea to replace any worn-out insulation that’s on the refrigerant line, and to try and create a little bit of shade for the condenser outside. While some cycling is expected, if the unit seems to be constantly cycling on and off and you’ve already cleaned the air conditioner, it might be a good idea to check the thermostat. Then, check the condenser, the evaporator unit, and the fan to see if they’re malfunctioning. Either way, clean each part to make sure they are running at their best. Finally, if water is leaking near your HVAC, remove the cover and check to see if the drain line is clogged or disconnected. If there is a lot of water, use a wet-dry shop vacuum to clean up the excess and run some bleach through the drain line to make sure it’s clear. Since we’ve already discussed the small, frequent problems with your air conditioning unit, let’s now discuss larger, more complex AC unit problems and their solutions along with air conditioning repair costs. Most of the time, a spike in operating costs means an inefficient operating system. If you’ve already replaced the filter, the problem may be a choked condensing coil. In the exterior unit, the coil’s many cooling fins can accumulate dust and debris. If you can’t clean the exterior unit with a garden hose, call for a professional tune-up. A professional tune-up will range from $75 to $150 every year. If your air conditioner is rattling, ticking, or buzzing, then it’s possible there could be a loose screw in the system. However, this noise could also come from a blower motor (inside) or even a bent fan blade (outside). Sometimes, a simple tightening of the motor or lubrication of the blade can fix the issue. Otherwise, a new motor or fan blade may be needed. An inspection runs around $75 to $150, but a new blower motor could cost an additional $150 to $750. If the thermostat isn’t placed properly, it can wreak havoc on the home. The unit could also be getting too much sun or is too close to the register, which makes it feel like an oven. One fix might be to simply relocate the thermostat. A new thermostat will cost around $250, plus a $90 installation fee if an electrician installs it for you. If your air doesn’t feel cool coming out of the registers, then the refrigerant lines may not be insulated. The outdoor unit is connected to the indoor unit by two copper refrigerants lines that should be insulated. Insulating sleeves only costs around $5 each, but it could cost $150 for a re-charge. If your AC unit doesn’t seem to kick on, it could have a burnt-out compressor. This will most likely lead to a costly replacement, due to the new parts, new Freon, and even labor required. For this kind of upgrade, the cost will run between $600 and $1,900, but if the unit is older than eight years old, it may be best to buy new equipment. 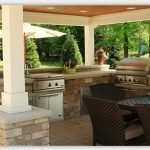 For those looking for HVAC repair in Nashville, TN, make sure you search for a company that hires experienced technicians who can get the job done in a timely manner, and who come highly recommended. ALSO READ: How to Choose the Right Furnace For Your Home? Dan Kalman is the Senior Vice President of Home Services for Lee Company, an air conditioning repair company in Nashville, TN. The business is dedicated to solving common house problems through innovative, customer-specific solutions. I’m glad you mentioned replacing the air filter 3-4 times a year. My wife and I just moved into our first home, and I want to set up a maintenance schedule for all of our major units to try to avoid any potential problems. Thanks for the information-it goes a long way in helping me know when and when not to contact a contractor. I never knew that a loose screw in my air conditioner could cause so much noise, but that a blower motor or bent fan blade could also be the problem. When I was growing up, our air conditioner would rattle and buzz loudly all the time. You did a great job of explaining that there could be a small repair such as tightening the motor or a large one with a replacement of the motor entirely. I’ll be sure to keep this in mind the next time my unit makes unusual noises.